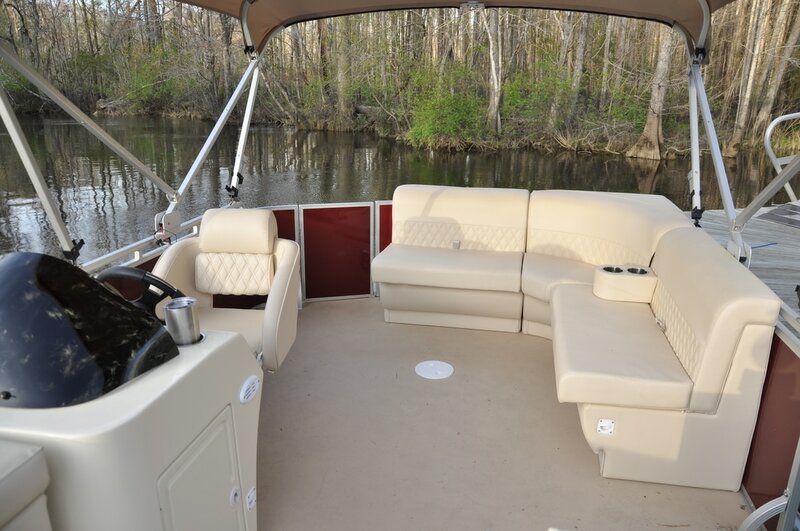 The Lexington c20 21' cruising pontoon has seating for up to 10 people not to exceed 1600lbs. It is equipped with the Yamaha 60hp four stroke outboard . 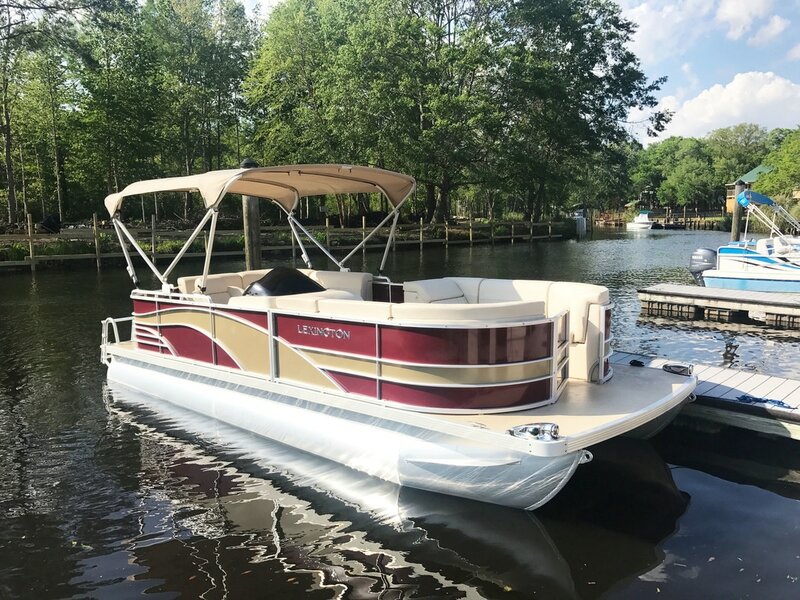 Great for cruising the inlet or the waterway with the whole family. 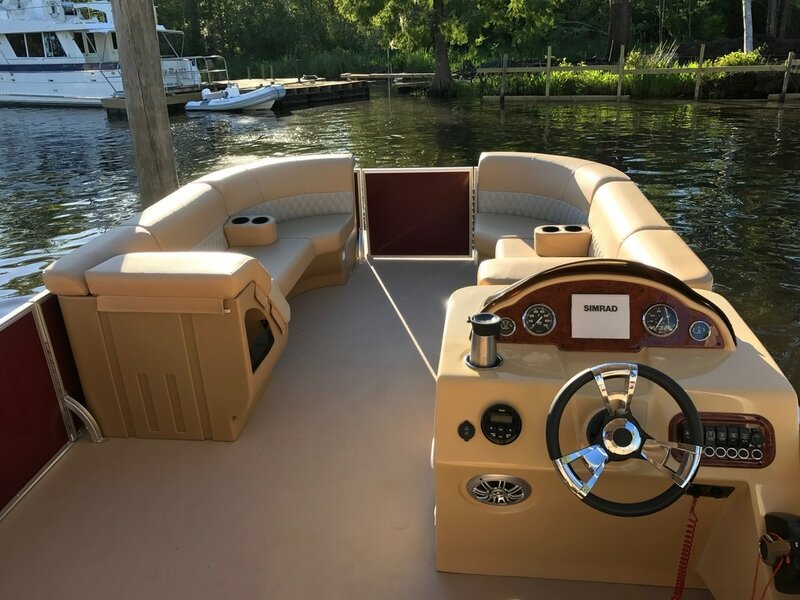 It has a bimini top, a 2 speaker stereo with aux input, Simrad GO5 Chart Plotter GPS, and more. you can keep the boat at your dock for your whole vacation! If you don't have a dock you can rent a slip from one of the marinas in the inlet and we can deliver there.